1. a fictitious name, esp. one used by an author. 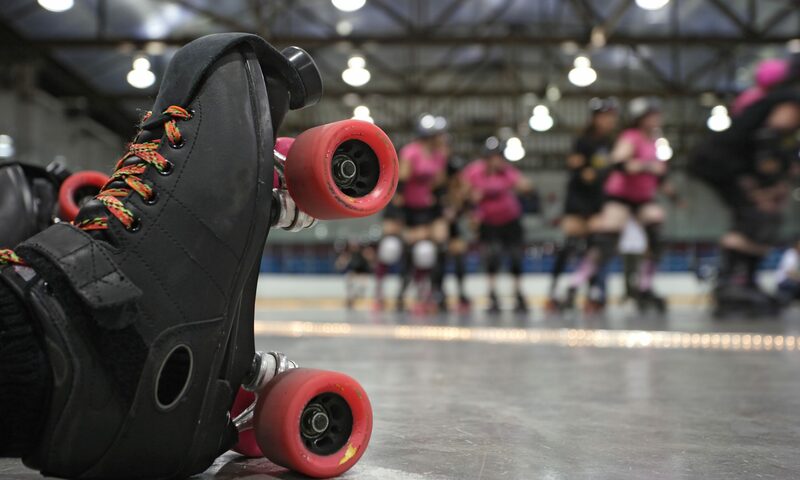 Roller Derby is a unique sport in the fact that many players choose to skate under an alias, better known as a “derby name” or “skater name,” rather than their legal name. This element adds to the entertainment and uniqueness of the sport while also allowing an easy way to differentiate and highlight individual players. 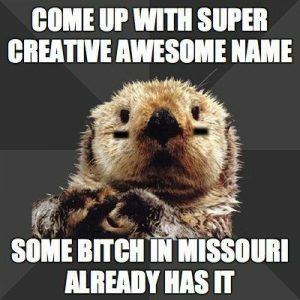 Often these names are puns or humorous versions of a (in)famous character or real person. They frequently make references to pop culture while incorporating the sport of derby and the individual’s persona. Derby names can be seen as an opportunity to adopt an alternative on-track persona. Many derby names are puns, and in some cases this may extend to the skater’s number. Other names may be chosen to reflect a skater’s playing style or ability. Tablet Magazine describes the ideal derby name as showing “both aggression and humor” and “reveal[ing] something about the skater.” For example, Hydra, a former Texas Rollergirls skater, chose her name in part due to her profession as a hydrologist, and in part in reference to the mythological creature. Fagundes suggests that the ideal derby name “sounds something like a real name”, in that it has a plausible first- and last-name, “connects to derby”, and contributes to an “overall persona.” He gives LA Derby Dolls skater Tara Armov as an example of an ideal-type name. 1. Check over the roster to get some ideas, and to avoid duplicate entries. 2. Consider your team’s market. Are you catering to an adult (R-Rated) crowd, or are you more family friendly (PG)? Overtly sexual or crass names can be entertaining among some grown-up crowds, but they might need to be censored at certain events or venues. Keep this in mind when choosing your name. 3. Don’t make it a mouthful. Your name is going to be yelled on the track, during gameplay. Not to mention it will also have to be printed on jerseys or when you sign autographs for all your new fans. If you choose an extra long name chances are it will be shortened and you will be given a nickname. Think about this when choosing your name. Will it be easy to yell on the track? And if not what can it be easily shortened to? 4. Don’t forget the real you! Often times we can incorporate our other hobbies and interests into our name. Into politics? Play off the name of some famous Political Scientists or political terminology. Love music? Pick your favorite artist and go from there. The possibilities are endless.